T. He, D. Chen, X. Jiao, et al. Surfactant-assisted solvothermal synthesis of Co3O4 hollow spheres with oriented-aggregation nanostructures and tunable particle size. Langmuir, 2004, 20(19): 8404-8410. B. Liu, H. Zeng. Symmetric and asymmetric ostwald ripening in fabrication of homogeneous core-shell semiconductors. Small, 2005, 1(5): 566-571. K. Zhou, X. Wang, X. Sun et al. Enhanced catalytic activity of ceria nanorods from well-defined reactive crystal planes. Journal of Catalysis, 2005, 229(1): 206-212. S. Liang, F. Teng, G. Bulgan et al. Effect of phase structure of MnO2 nanorod catalyst on the activity for CO oxidation. J. Phys. Chem. C, 2008, 111: 273-277. 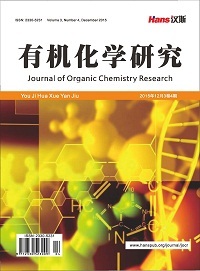 Y. F. Zhu, J. Shi, Z. Zhang, et al. Development of a gas sensor utilizing chemiluminescence on nanosized titanium dioxide. Analitical Chemistry, 2002, 74(1): 120-125. 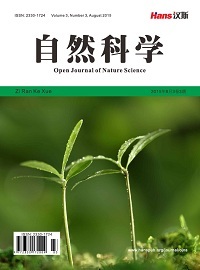 X. Wang, N. Na, S. Zhang, et al. Rapid screening of gold cata-lysts by chemiluminescence-based array imaging. Journal of the American Chemical Society, 2007, 129(19): 6062-6065. E. M. Johansson, K. M. J. Danielsson, E. Pocoroba, et al. Cata-lytic combustion of gasified biomass over hexaaluminate cata-lysts: influence of palladium loading and ageing. Applied Ca-talysis A: General, 1999, 182(1): 199-205.